A few years ago, I started researching my family history. Curious about my paternal ancestry, I cobbled together a family tree based on the few facts I knew. My nascent curiosity took on a life of its own and became tenacious as I steamrolled through a series of family secrets on my direct paternal line that were intended to bury a non-paternal event. 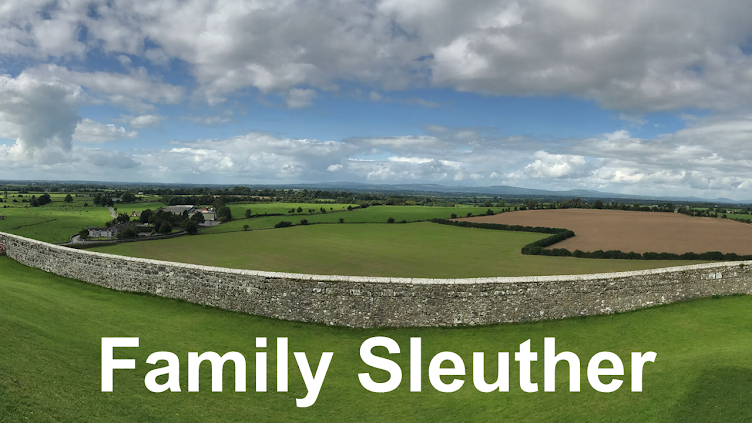 To get up to speed on how I cracked that family mystery and revealed that my 5th great-grandfather was a man named Thomas Kirk (1778-1846) who lived in Licking County, Ohio, check out: A Family History Mystery Revealed. Although I had confirmed the identity of my biological 5th great-grandfather, there remained wide-ranging speculation about who Thomas' parents were, but no credible proof or definitive answers. No one could name his parents with any certainty (and definitely not with any written documentation). There was no evidence confirming his ancestral origins either. Was he Irish? Was he Scottish? Or was he Scotch-Irish? I was particularly curious to know where my paternal line traced back to and who the immigrant ancestor was. These questions intrigued me, and were only amplified because the discovery of my Kirk ancestry was revealed entirely by happenstance, persistent genealogy, and DNA. When Was The Patriarch Born? When I began researching Thomas Kirk, I found many published genealogies - both online and in print - that listed his birth year as 1778. Frustratingly, none of the genealogies referenced a source, so it was unclear where this birth year came from or how reliable it was. It also didn't help that there were no known primary documents original to that time that could verify his birth year. Perhaps the year of birth was based on an age at death or birth date inscribed on Thomas' tombstone. Unfortunately, the search for his grave yielded another disappointment. 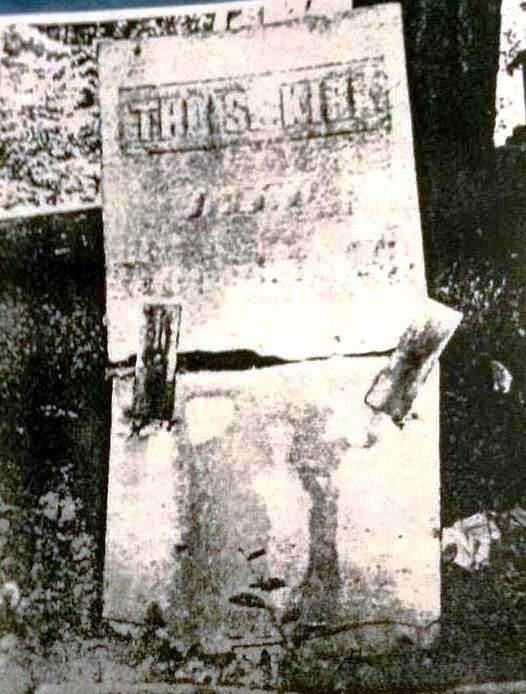 The original stone had gone missing from the Beard-Green Cemetery in Licking County, Ohio. Today, all that remains is the stump of the original marker - taunting us with the history it once held but is now lost. I was excited to learn that a descendant of Thomas' son Greenberry Dorsa Kirk had published a brief family history in the early 1990s. That volume included a photograph of Thomas original headstone. From this only known photograph of the marker, it's apparent that its age was beginning to take its toll. The stone was cracked in half and clamped together by twisted metal plates. The photo was not high resolution and it was difficult to discern any inscription other than Thomas' abbreviated named (THOS. KIRK). Try as I might, I could not make out any other text. My next tactic was to locate a cemetery census. Maybe the cemetery's caretakers or a local genealogical society reviewed the burial plots and recorded the inscriptions from each headstone. If a census was conducted before the markers began to disappear, I could hopefully learn what was etched on Thomas' stone and confirm his birth date. The Licking County Genealogical Society had no cemetery census that included Thomas, and a similar search at the Daughters of the American Revolution's national library in Washington, DC also came up empty. I next mailed a letter to the Beard-Green Cemetery's trustees inquiring about burial information. An archivist with the Dawes Arboretum (the cemetery is now located within the Arboretum's boundaries) responded, "I'm afraid to say that I think you found more information than we have on file. In fact, we don't have much." I took the search to the state level, and finally scored a break with promising information from the Ohio History Connection. A state researcher found a book published in 1971 by the Johnstown Genealogy Society titled, Cemetery Inscriptions for Townships in Licking County, Ohio. This census was conducted before June 1970. Under the Beard Cemetery section, a brief note summarizing the genealogical data inscribed on his original headstone finally confirmed what the many family trees had claimed: Thomas Kirk was born in 1778. The entry was simply, "Kirk Thomas, 1778-1846." It was gratifying to finally have a source to which I could attribute the birth year, but questions remained. For example, where was Thomas born and did the census records corroborate a 1778 birth year? What clues did the censuses shed on the rest of his life? As is often the case in genealogy, one answer begets another question. The research journey is to be continued. I commented on a post earlier today but can't find which one it was that I wrote on. I looked further in my file and find that I show Thomas Kirk born 1778 as a sibling to Mary Kirk, who married Anthony Geiger and died in Licking County, Ohio in 1832. Mary's father was Joseph Kirk, supposedly born 1752 in Ireland, and her mother was Sarah unknown. Please contact me: happygenealogydancing@gmail.com. This is a very exciting lead. I've sent you an email, Janice, to connect and discuss further. Thank you for reaching out.